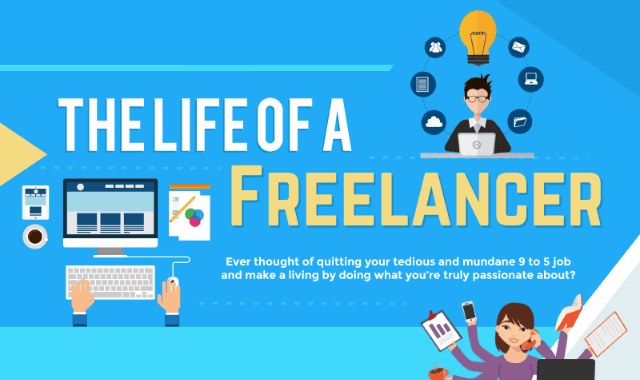 The Life of a Freelancer #Infographic ~ Visualistan '+g+"
Ever thought of quitting your tedious and mundane 9 to 5 job and make a living by doing what you’re truly passionate about? Do you want to achieve work-life balance without compromising your professional and personal growth? Or are you a student who wants to earn a lucrative paycheck while also gaining ‘real-world’ experience from businesses all over the world?